Kate and Mike and their kids savoured India. 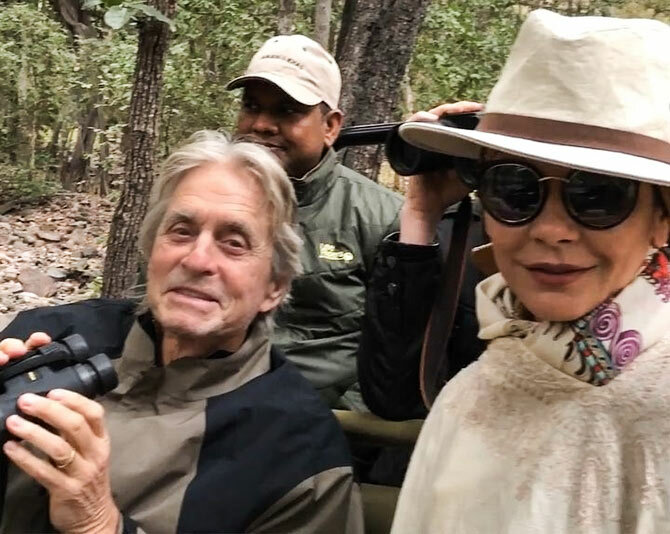 Halle Berry was in India last month. 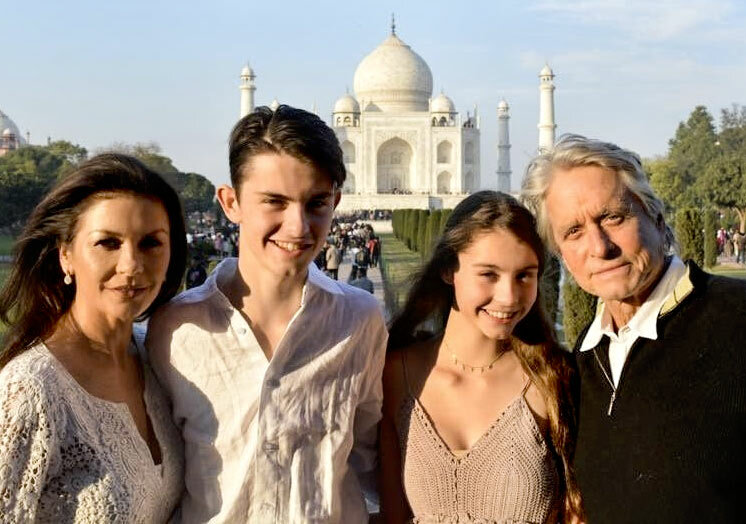 This month, it's the turn of Catherine Zeta-Jones and her husband Michael Douglas along with their children Dylan and Carys. 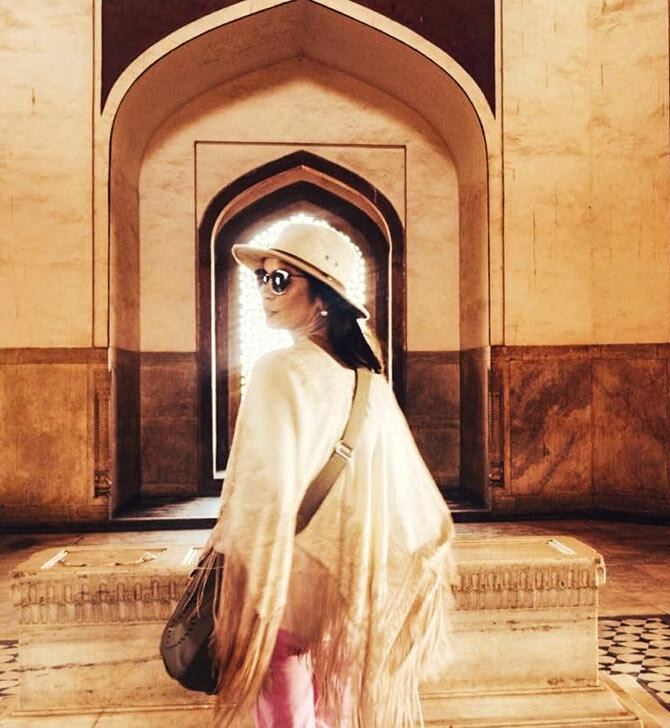 Catherine posted pictures and videos on Instagram of their visit to the Taj Mahal on Tuesday. 'At the Taj Mahal with the three other 'Wonders of the World' in my life,' Kate wrote. 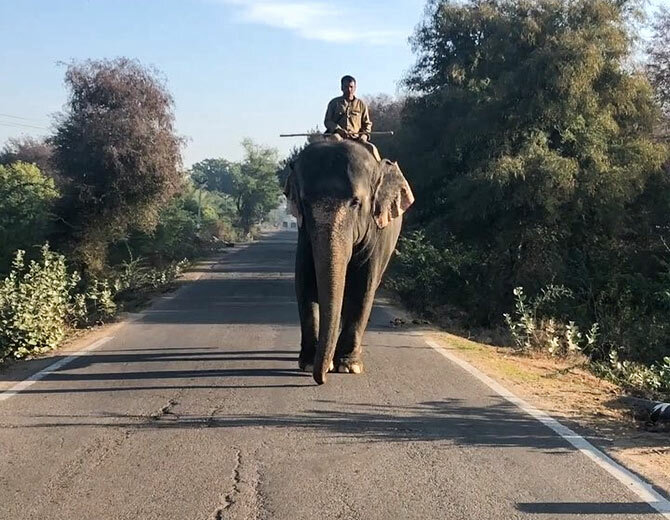 Posted six hours ago as she left her hotel: 'Leaving our hotel this morning, we had to pull over to let the big guy pass! Taimur gets a forest as a birthday present!